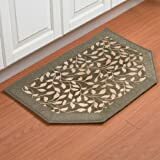 Bring luxurious cushioning underfoot with this memory foam kitchen rug with classic patterns that match any décor. 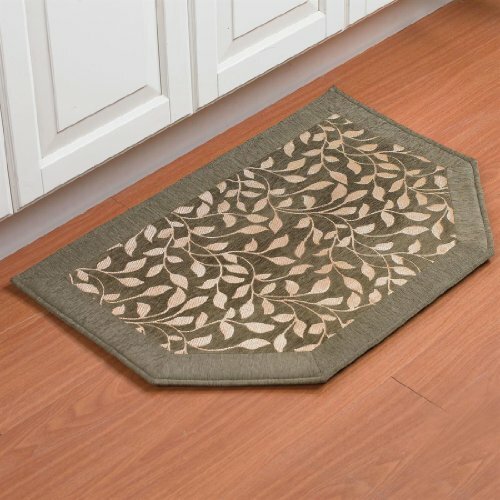 • available in 2 patters: Leaves and Paisley • woven jacquard design • non-skid back • polyester • spot clean • imported • pair this rug with our beautiful matching table linens and our kitchen décor and accessories for a complete look This woven kitchen rug fits snuggly up against your cabinet and next to your sink measuring: 20″ x 30″. Why Buy? Our customers continue to tell us just how big of help our rugs have been throughout their homes. They rave about our runners and stair treads but all of them have fallen in love with our kitchen rugs. They compliment us on both the look and feel of the rugs and tell us how many compliments they get from friends and family.